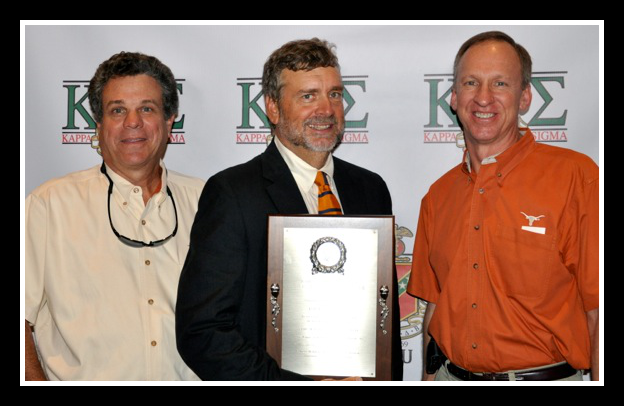 John R. "Rick" Warren, Jr. '78 was celebrated as this year's Kappa Sigma Tau Man of the Year by Tau Trustees, Alumni, the Chapter and family members during Fall Parents' Weekend on October 20. 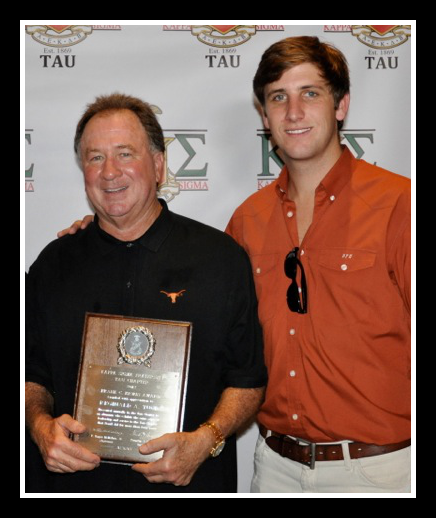 "Rick has done so much with his time, talent and treasure for the Tau Chapter of Kappa Sigma. He's extremely deserving of this award," said Jay Chernosky '78. "We've had a great lifelong friendship and that's truly what Kappa Sigma is about," he added. After graduating from UT in 1981 with a degree in Mechanical Engineering, Warren helped build and expand his family's business of Caterpillar dealerships throughout Northwest and West Texas. 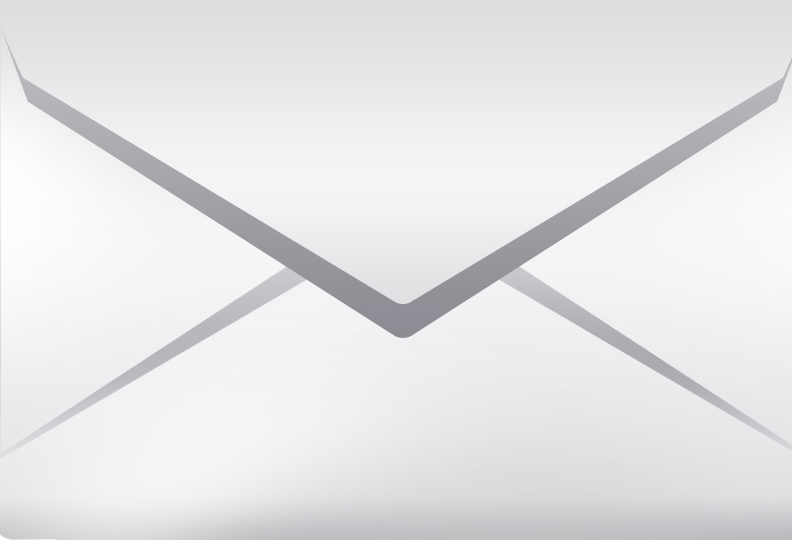 With Warren as president, West Texas Cat enjoyed nine consecutive years of growth serving the governmental, construction and oil field industries. 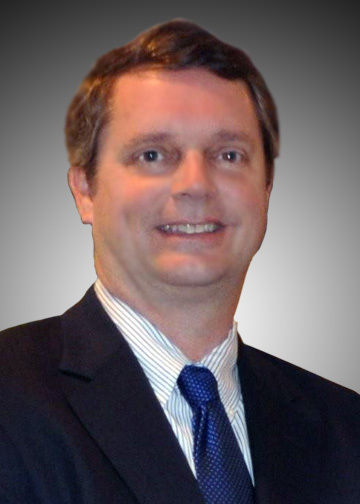 In 1990 he moved the headquarters from Amarillo to Midland to take a key management position in another family owned business, Compressor Systems, Inc., (CSI), today an industry leader in all phases of gas compression. 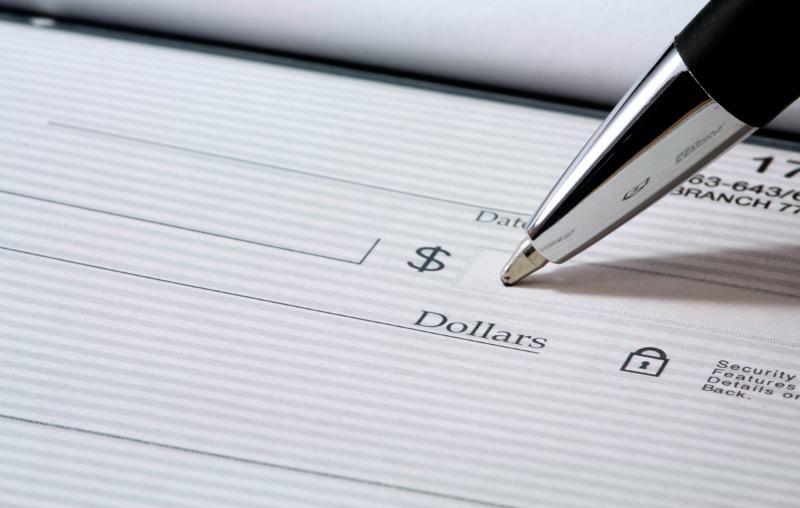 In 1999 Warren moved his family to Austin where, among other pursuits, he became a professional day trader. Although now a venture capitalist and world-traveling outdoor sportsman, he still devotes many hours to the Tau Chapter. He was instrumental in launching the Tau 125 Campaign and has contributed immensely to its success. "Rick's tremendous generosity to the Chapter illustrates his deep commitment to the Kappa Sig brotherhood and to the Tau legacy. 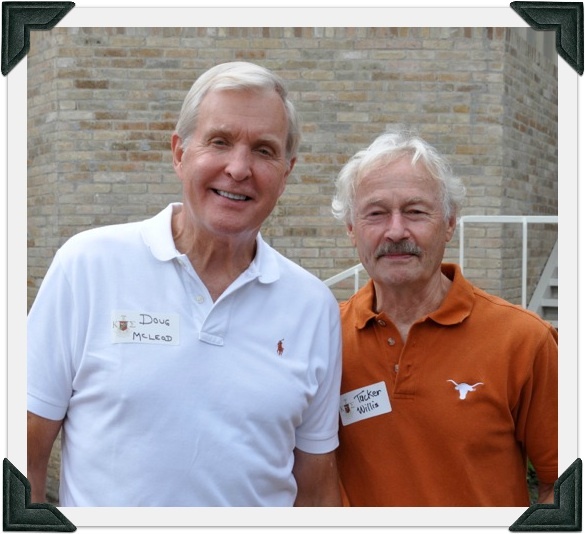 His gifts will benefit UT Kappa Sigs for many years to come," said Joe Bailey '73. Warren has two grown children, Trey, a chef in Miami, and Haley, who lives in Ft. Collins, CO. In 2010, he was chosen by the Tau actives to receive the Frank C. Erwin award for his outstanding service to the Chapter. Each year the Tau Chapter selects an alumnus to receive the Frank C. Erwin, Jr. award, presented for exceptional guidance and contributions to the Chapter. Reggie Tuck '69 was this year's honoree. "Reggie was the obvious choice for the Frank Erwin award," said Bryce Healey, Tau Chapter Grand Master. "He's a great mentor who's always there to support and encourage us. The entire Chapter holds him in high regard and appreciates all that he's done for us. 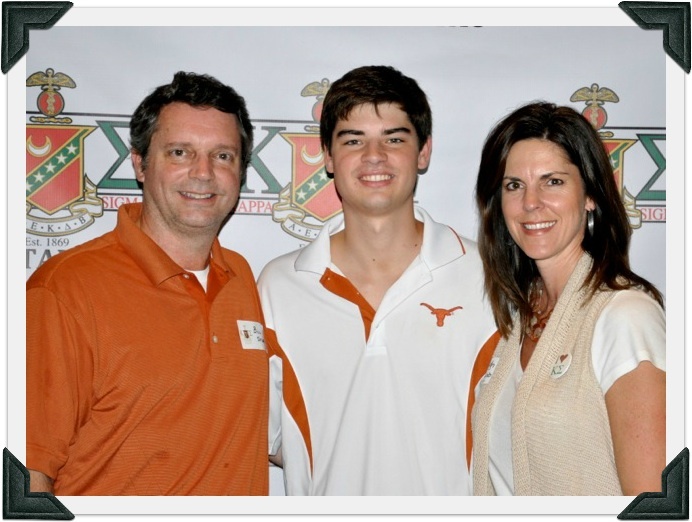 He's a wonderful example of what it means to truly live the Kappa Sig brotherhood." Among his many contributions, Reggie coordinates the Tau Chapter's Distinguished Alumni Speaker series, a popular monthly get-together at the Lodge that offers the actives a chance to meet a featured alum and hear about his career and how being a Kappa Sig has helped shape his life. Reggie and his wife, Rhonda, are active in the Parents' Association and were co-chairs in planning this year's Fall Parents' Weekend events. They are the parents of two Kappa Sigs, Cody '07, a UT graduate who now works for Sotheby's International Aspen/Snowmass Real Estate Co. in Aspen, Colorado and Travis '10, a UT Junior majoring in Liberal Arts. They also have a daughter, Mason, a high school senior who hopes to attend UT Austin next year. Reggie is a partner in Ranch Enterprises LTD, a Kerrville, Texas-based company that develops and sells land and ranches in Texas, Colorado and New Mexico. Preston Key '09, known for his engaging personality and devotion to his Kappa Sig brothers, is this year's recipient of the Philip Moore award. 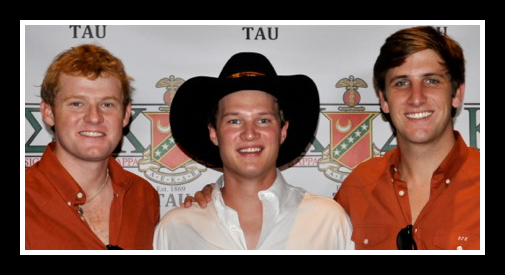 Preston, a corporate communications major from Dallas, is currently Tau Chapter vice-president and a member of the Texas Cowboys service organization. The Philip Moore Award: Philip Moore is remembered for his outstanding leadership, service and loyalty to his Tau brothers. He died tragically in a car accident at 29 years of age. 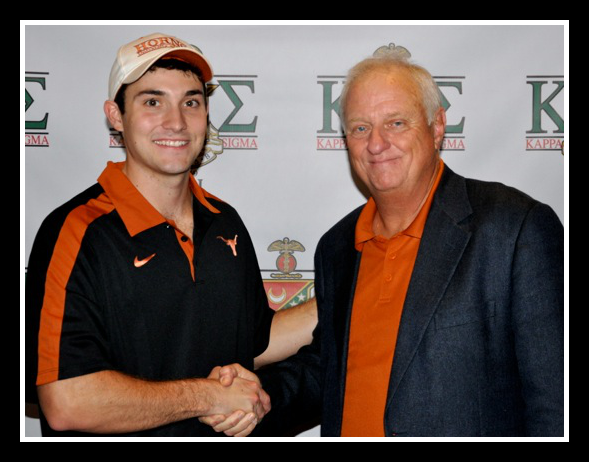 The Philip Moore award is given annually by the Texas Kappa Sigma Educational Foundation to a KS senior who demonstrates many of the attributes for which Philip Moore is remembered. Gracious, thoughtful and a natural leader are fitting descriptions for Thomas Dowlearn '10, this year's recipient of the Gabe Higgins award. Thomas, a business management and premed major from Houston, served as GMC for Spring, 2012. He is active in Texas CRU and a member of Alpha Lambda Delta and Phi Eta Sigma Honor Society. The Gabe Higgins Award: Gabe Higgins is remembered for his calm and unassuming demeanor, his ready willingness to help a brother in need, and his good character. The Gabe Higgins award is given annually by the Texas Kappa Sigma Educational Foundation to a KS junior who shares many of the good qualities for which Gabe Higgins was known. Enjoying Parents' Weekend: Matt Stubbs '11 with parents Bill Stubbs '81, Tau 125 Campaign Fundraising Co-Chairman, and Leigh Stubbs, a Parents' Association officer. 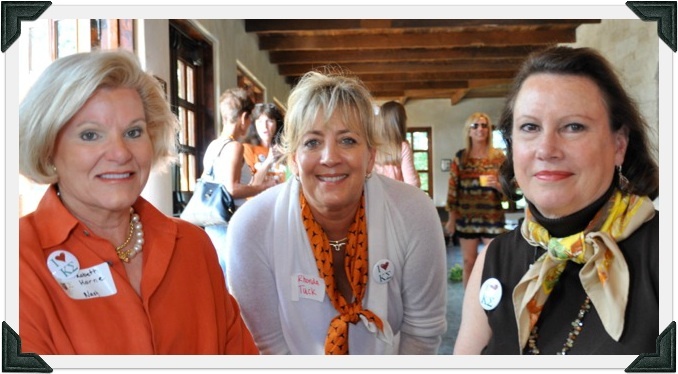 Parents' Association president Elizabeth Horne, Parents' Weekend planning co-chair Rhonda Tuck, and Melinda Kilpatrick were part of the hard-working team who made Parents' Weekend 2012 a wonderful event enjoyed by everyone who attended. Tau Trustees Doug McLeod '60 and Tucker Willis '59 enjoying the Tau Alumni reunion.